If you’re looking for the in best fine dining , from the land or the sea, why not put your faith in the folks who have been cranking out local and tourist favorites for over 50 years? 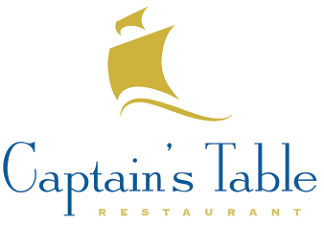 Now located in the Marriott on 15th Street, Captain’s Table is open 7 days a week for breakfast, lunch, happy hour, and dinner in a classy, yet relaxed environment. This $15 gift certificate gets you $25 to spend on Captain’s Table’s famous menu that includes fresh seafood, great steaks, and chef inspired daily specials. Pick one up today and treat your taste buds to a vacation of their own! 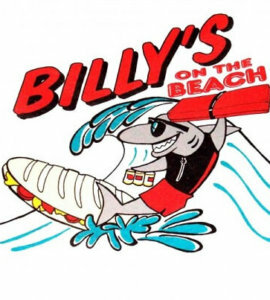 If you’re looking for the in best fine dining , from the land or the sea, why not put your faith in the folks who have been cranking out local and tourist favorites for over 50 years? Now located in the Marriott on 15th Street, Captain’s Table is open 7 days a week for breakfast, lunch, happy hour, and dinner in a classy, yet relaxed environment. This $15 gift certificate gets you $25 to spend on Captain’s Table’s famous menu that includes fresh seafood, great steaks, and chef inspired daily specials. Pick one up today and treat your taste buds to a vacation of their own! This gift certificate is not combinable. Only one certificate may be used per group.